The project has been constructed by two of the leading names in real estate development in the country, the Devron Group and the Great Gulf. 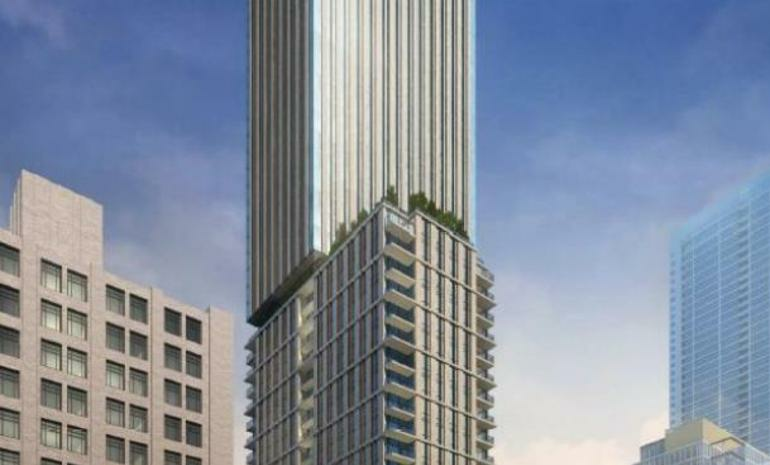 The project has 47 storeys, and all the units have been exquisitely designed to give the contemporary user a most luxurious residential experience. 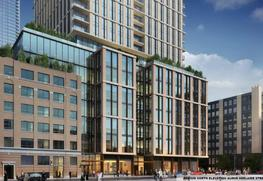 The project has been conceived as mixed- use tower and it is one of the tallest from the developer as yet. 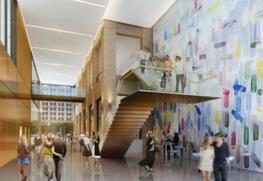 Both the real estate giants are teaming up to make this beautiful project and are bringing their best to the table. 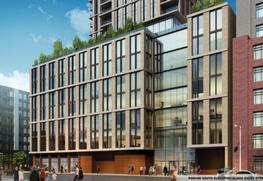 101 Spadina is a premium luxury residential destination located in the mesmerizing city of Toronto. The project has well designed Studio Apartments, 1 Bed and 2 Bed apartments which starts from about 535 sq feet. The size of the Studio Apartments is between 500.49 sq feet to 750 sq feet. The size of the 1 BHK is between 948 sq feet to 1276 sq feet. The project has is under construction and is expected to finish in the fourth quarter of 2022. The price of the project would only be revealed to interested buyers. The building is 47 storey high. The various amenities of the project have thorough year round maintenance. There is a swimming pool inside the project along with a special kid’s area. There are sauna and Jacuzzi to be enjoyed as well. There are long windows in the apartments which gives unobstructed views of the city skyline. There are adequate parking facilities for both vehicles as well as bicycles. What are the locational advantages here? 101 Spadian is located in the heart of Toronto. It is a mere 10 mins away from the educational hub and only 15 mins away from the main subways, and also 10 mins away from shopping malls.Apart from that there are multiple banks, hospitals, schools, colleges and market places available in and around the location. Both Devron and Great Gulf are respected names in the real estate sector and has been providing the best ever services to its clients decades. Between them, they have over 600 completed projects and more are under construction. They partner with only the best and there are professionals employed at every level so that they can provide the clients with the world class services. They have constructed a total of 98 million sq feet of built up area and they have constantly strived to provide the best ever services to the clients within their budget. Their joint venture has the world looking at them and the project has garnered very good reviews already. One can arrive at any location in the city within a quarter of an hour. Each and every design of the 101 Spadina has made great utilization of space and has used the state of the art technology. The project is well designed and exquisitely crafted, designed to meet all modern requirements.